Greenpeace activists unfurl a banner challenging Wilmar International to choose forest protection over forest destruction, within Wilmar's PT Agrindo Indah Persad concession in Jambi, Sumatra. The palm oil sector is the largest driver of deforestation in Indonesia and the vast majority of the forest cleared in identified oil palm concessions in Sumatra during 20092011 was tiger habitat. The plantation sector is the chief threat to Sumatran tigers, elephants and orangutans. Greenpeace demands that Wilmar stops laundering dirty palm oil onto global markets and that household brands clean up their supply chains. My colleague Wirendro Sumargo, based in Greenpeace’s office in Indonesia, recently wrote about a moving experience witnessing the plight of the orangutan. His evidence of forest destruction and endangered wildlife deaths at the hands of one palm oil company is something that we cannot ignore. I share his story and call on all of us to forge a path toward truly sustainable zero deforestation palm oil. This beautiful orangutan sat just yards from me, serenely eating the fruit placed on the platform. Its an incredible experience to see these creatures so close, and yet so at ease in their forest home. But this orangutan represents an endangered species, and her forest home is under threat. Until recently, this feeding station and the surrounding forest was part of a protected national park, but no longer. It is now owned by a palm oil company, Bumitama, that proudly boasts of its aggressive expansion plan, with more than 37,000 acres pegged for new palm oil development this year thats nearly 60 football pitches per day! But for now, this orangutan is lucky. 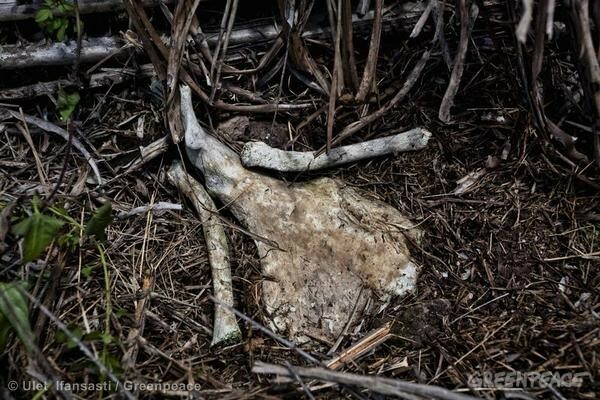 In August 2013, a Greenpeace International investigation with Friends of National Parks Foundation (FNPF) exposed a crime scene inside Bumitamas new concession (PT ASMR) and just a few yards away from the oil palm plantation of PT BLP (part of BW Plantation). Here investigators documented an orangutan skull. 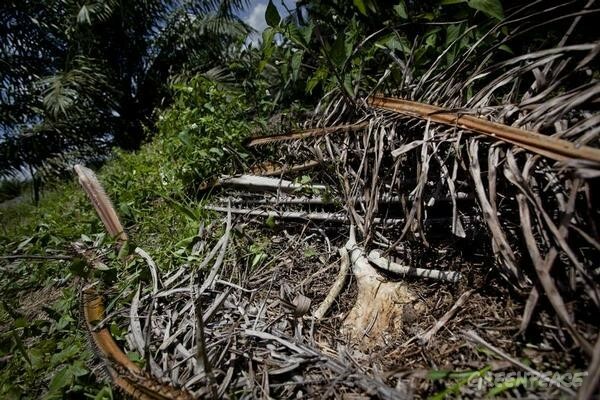 Since March 2013, the remains of several orangutans have been documented by Orangutan Foundation International (OFI) and FNPF in different locations along the border between the two palm oil concessions. In a letter to authorities requesting urgent intervention, the organizations describe the area as an orangutan graveyard. Police investigations are now in process and it is their responsibility to determine how these beautiful animals died and who is responsible. Pending judgment by the authorities, it is disturbing that such horrific incidents have been revealed to have taken place in such close proximity to the concessions of two RSPO members BW Plantation and Bumitama without those companies making any public statements of concern. 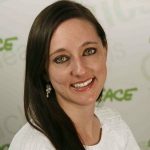 Recent requests by Greenpeace and journalists for information about the status of the police investigation have failed to obtain a satisfactory answer from officials. Tragically, Bumitama has been in the spotlight before. 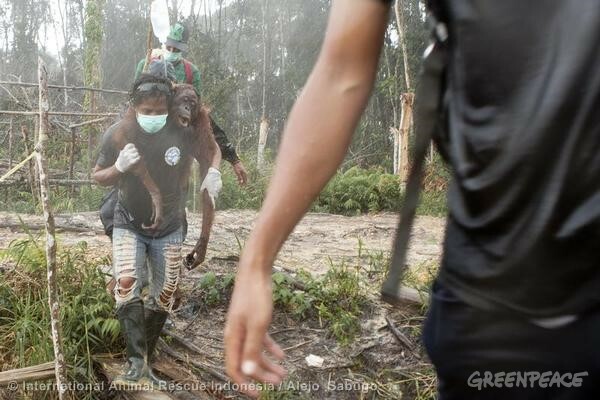 The operations of Bumitamas PT Ladang Sawit Mas, a company whose concession covers roughly 16,000 acres in West Kalimantan, came to public attention in early 2013 due to the release of dramatic images documenting the rescue by International Animal Rescue Indonesia (IAR-I) of four malnourished orangutans. Every year, Indonesia is losing an area of rainforest equivalent to over 100 Manhattan islands, which is pushing all sorts of iconic animals to the brink of extinction. In Indonesia’s island of Sumatra, as few as 400 Sumatran tigers survive, with habitat destruction from palm oil a chief threat to their future. 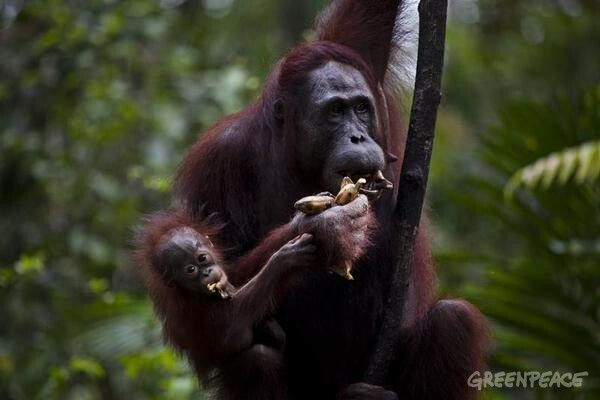 Greenpeace believes that palm oil can be produced responsibly. Palm oil can and must – make a genuine contribution to Indonesias development, rather than destroying the future for its people, its wildlife and the global climate on which we all depend. But leadership must start somewhere. 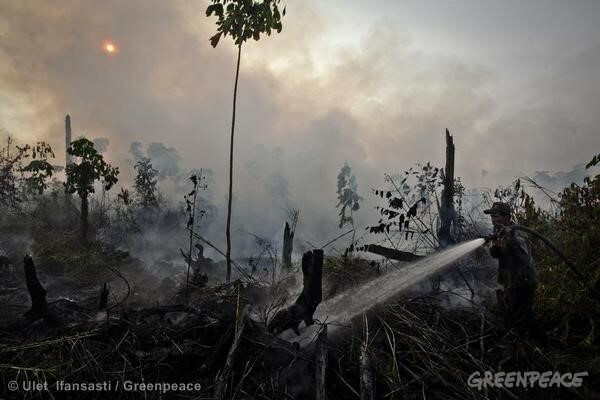 Unilever today announced steps to deal with deforestation – who’s next? Just today, at the Roundtable on Sustainable Palm Oil annual general meeting in Indonesia, one of the world’s biggest consumer goods companies, Unilever, announced steps to deal with deforestation. It joins Nestl, which has already committed to a No Deforestation Policy. If we can make more consumer companies introduce similar policies, then we will be placing more and more pressure on the whole industry to clean up its act including on players who dominate the palm oil industry. Wilmar the worlds largest trader of palm oil and derivative products is a cornerstone investor in the Bumitama group and accounts for 70% of Bumitamas palm oil trade, as well as over 30% of trade from BW Plantation. Just a couple of weeks ago, we exposed how Wilmar is trading palm oil from companies destroying tiger habitat in Sumatra. 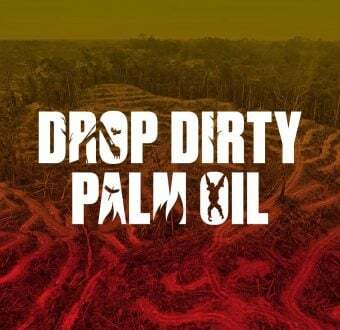 Wilmar sits at the center of a global web of corporations stretching from irresponsible oil palm producers like Bumitama and BW Plantation to the companies behind household brands that make us all, as consumers, unwitting accomplices in this destruction. Wilmar trades more than a third of all palm oil traded internationally. It can transform the palm oil industry if it wants to. 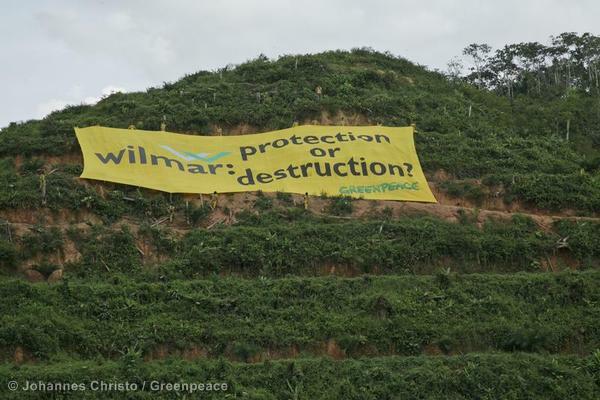 We challenge Wilmar to take up the leadership role that comes with its dominance of global palm oil supply. Wilmar must clean up its palm oil supply chain, and exclude all trade of palm oil products linked to forest and high carbon peatland destruction. Wilmar needs to meet this challenge now. The orangutans and tigers cant wait much longer.